Shakti Kapoor said: "I don't know anything about this case. This was 10 years back, I was a kid back then"
Shakti Kapoor (L) and Tanushree Dutta (R) photographed in Mumbai. 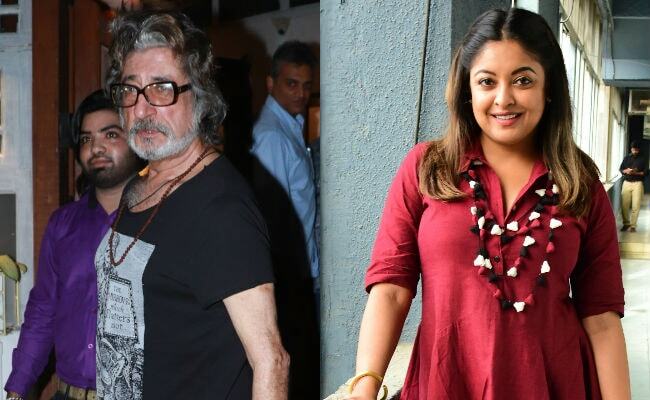 Just as POTUS Donald Trump mocked Dr Christine Blasey Ford for accusing his Supreme Court nominee of sexual assault many years ago, actor Shakti Kapoor has made light of Tanushree Dutta's decade-old allegation of harassment against Nana Patekar. News agency ANI reports that Mr Kapoor, 66 now, told reporters he couldn't comment on the controversy because he was just a kid 10 years ago. Shakti Kapoor, himself accused of sexual misconduct, could hardly be expected to have condemned Mr Patekar. A slightly more measured response than this, however, would have been nice: "I don't know anything about this case. This was 10 years back, I was a kid back then." Just so nobody is confused - Mr Kapoor was 56 in 2008, the year that Tanushree Dutta says Nana Patekar harassed and threatened her on a film set. In 2005, Shakti Kapoor was caught on camera asking an aspiring actress for sexual favours in exchange for easing her way into the notoriously hard to crack Bollywood. The news channel which released the recording claimed they had conducted a sting operation to expose the seamy practice that is commonly known as the 'casting couch.' 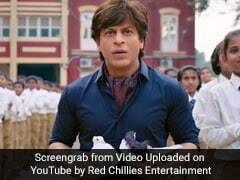 Mr Kapoor defended himself by claiming the video had been doctored. In his flippant dismissal of the Tanushree Dutta-Nana Patekar controversy, Shakti Kapoor, who has a young daughter acting in the film industry, has echoed a refrain used by Bollywood's most powerful men to absolve themselves of having to take a stand on anything that doesn't concern the film they are currently promoting. Last week, Salman Khan also claimed ignorance, telling the media he was 'not aware' of Tanushree Dutta's allegations. Amitabh Bachchan, asked to comment at an event for his new film Thugs Of Hindostan, said, "My name is neither Tanushree nor Nana Patekar so how can I answer your question?" Tanushree Dutta alleges that Nana Patekar was sexually aggressive while filming a song sequence and then sending thugs after her when she refused his advances. Much of what she says happened then has been backed by two other women, a journalist who was in set that day and an assistant director on the film - which Ms Dutta later quit. While actors such as Salman Khan, Amitabh Bachchan and now Shakti Kapoor have responded poorly to the controversy, women such as Twinkle Khanna (whose husband Akshay Kumar continues to film Housefull 4 with Nana Patekar), Priyanka Chopra, Freida Pinto and others have publicly supported Tanushree Dutta, as have Farhan Akhtar and a handful of male stars. So who needs Shakti Kapoor to speak anyway? Nana Patekar has denied the charges against him and claims to have sent his accuser a legal notice demanding she apologise - Tanushree Dutta says she has received no such letter.